William Fagg "Jasper" Jones / "Old Boy" writing in the Australasian August 03 1940 (p14) mentions "W. H. Jones known to all as Jasper." His name Jasper comes from his early days at Williamstown when he suffered an injury. An uncle advised him to give up the game, so when he returned to the team, it was under an alias. The team list published had "Jasper" Jones listed. Jasper Jones 1887. The famous recruit from Williamstown and "one of the longest kicks the game has ever produced". Jones played approx 115 games with Williamstown. 1887 CFC Annual Report, Jones scored 1 goal during the season. 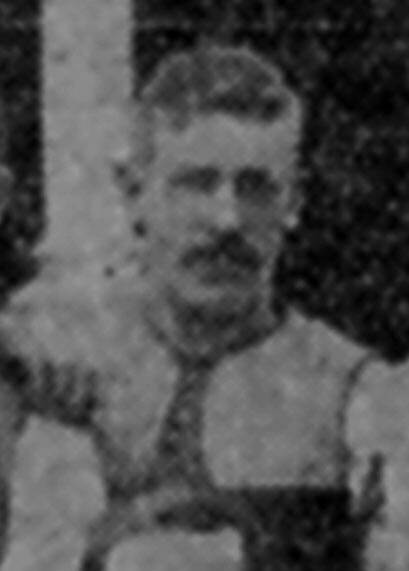 Jasper Jones appears in 1887 Carlton Football Club team photo against Norwood in Adelaide? 1887 Jasper Jones - Centre; grand place kick. "J. Jones, the centre man, is a very long and brilliant kick, and does a lot of effective work." Jasper Jones was back at Williamstown and was elected as captain for the season. "Jasper" Jones was back with Williamstown and kicked his sides only two goals in their loss against the Blues. "J. W." writing 'Forty Years of Football' in The Australasian (p28) mentions Jasper Jones place- kicked a behind from the centre of the East Melbourne Cricket Ground, the ball bounced, pitching high up just missing the goal post. "J. W." was Jack Worrall. The Geraldton Guardian published an article on Australia's National Game. In it, it mentions the Jasper Jones once scored a goal from a place kick from the centre of the ground. During the half-time Interval a reunion of former Carlton players was held in the pavilion. About 50 attended Tom Nosworthy and Billy Fitzgerald, team mates of 1883 were present and Jasper Jones, an 1887 veteran, celebrated his 50th anniversary in congenial company Such former champions as Athol Sharpe, Harry Houghton Steve Lehane, ' Snowy ' Everett, Hedley Blackmore, and Ray Brew seemed firmly convinced that the game to-day is not what it was in their day. Page last modified on Saturday 04 of August, 2018 13:17:29 AEST by blueycarlton. 1973 GF - The Earth Moved (Big Nick KO'd). 1978 Barry Armstrong Profile 27/07/78.